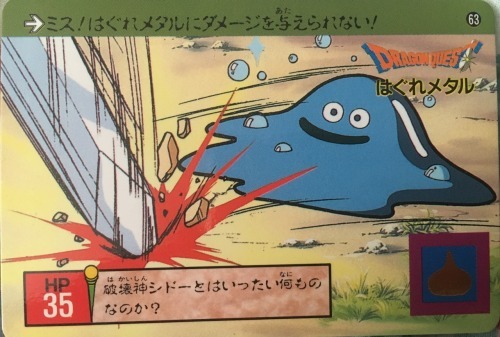 Today marks the 30th anniversary of Dragon Quest III‘s release in Japan (known as Dragon Warrior III in the west). The game was a huge leap forward for the series that gave players the ability to create custom characters, explore a far larger world, and waste huge amounts of time at the monster arena, which began the series’ long-running obsession with gambling. It was also the first Dragon Quest game I played and it frustrated me to no end. Back in 2001, ready access to the Internet really wasn’t a thing, so, as I’ve mentioned in various posts, our family had to search out the Internet at libraries and at places like the Ontario Science Centre. Dragon Quest III was a huge undertaking for my younger self. I’d played only a handful of role-playing games including Pokemon, Lufia II: Rise of the Sinistrals, and Final Fantasy Legends, so DQ III’s obscure quests and challenging dungeons were insane. How the hell was I supposed to know that the Orichalcum was hidden in some bushes? It was so challenging that I gave up on the game very late into the experience and only recently beat finally beat it on iOS. You’ll notice I’m using the Sage’s Stone, which, I think, pretty much breaks the entire game. There are two in the game and when used during battle it restores 75-90 hit points per turn. My fighter, who is the fastest on the team, and the sage had one each, so I was pretty much invincible. There were a whole host of tips like this I picked up that my younger self would have killed for. Regardless of how long it took me to beat the game and frustrating it was, Dragon Quest III remains my favourite game in the series. It just has this classic feel and houses some of my favourite characters; specifically, the ones I created. This was my original team of Jet, Rust, Flin, and Shot. Jet, Rust, Flin, and Shot were the original team. They were silent and beautiful, but deadly. Jet had all of the best armour and weapons the hero character gets, Rust was my critical hit master able to take down metabbles, Flin was the steadfast healer, and Shot spent most of her time as a dragon. They were the dream team and they were entirely devoid of personality. Character creation has always been one my favourite parts of role playing games and Dragon Quest III gave you so many possibilities. The team I had is one of a thousands of possible combinations with classes like warriors, thiefs, dealers, and jesters. These silent protagonists also encouraged you to interact with the world more to fill in the details rather than relying on your characters to tell you what’s going on all the time. Creation itself gave you a close connection to them as did the game’s amazing personality-generation opening for your main hero. Pachisi was a board game available in the NES, SNES, and GBC versions, but not available in the iOS version. This was just another added layer of fun in the game and broke up the somewhat monotonous monster battling. You could also fly in the game, there was a day and night cycle, there were TinyMedals to collect, and so many fun dungeons including the pyramid and the cursed Golden Claws. Anyway, I could go on forever and this post seems to be meandering a bit. The great thing about the series is that it’s been ported to hell, so you can legally download the games on various platforms. I would suggest finding the SNES version if you can just so you can play on the Pachisi track or the GBC version, so you can have access to all of the classes. This entry was posted in Gaming and tagged dragon quest 3, dragon warrior 3. Bookmark the permalink.